Since our inception, Finish Pro has been dedicated to providing the best customer service in the industry. We care what our customers think and say about us. As part of our pledge to you, we not only provide warranties on the work we do, but also the service we provide. Service & Quality you can count on. Guaranteed! I just wanted to let you know that my wife and I are thoroughly pleased with the job Eric did on our sink. It looks better than hoped, and only my wife and I will know that it isn’t a new sink. The job was done very professionally, and it’s great to know that quality craftsmanship still exists. Thanks! Just to let you know how happy we are with your service. The tech’s showed up in time and were very professional and did an outstanding job. Even though our tub was in pretty good condition, I was amazed on how involved the job was and can’t believe you can provide this service at such an amazing price. I will definitely recommend your company. I spoke to Tom. He was able to fit us in at literally a moments notice. Tom was extremely nice and I would not hesitate to recommend them. Tom and the guys at Finish Pro did a great job resurfacing a couple bathtubs for me. They showed up on time, worked quickly, and cleaned up after themselves. And, the tubs look great. Highly recommend! The workers were very professional and nice. They really took pride in their work. My bathroom looked like a new bathroom. I had the color changed from brown to white. The work was completed in 1 day. The workers were very prompt. Looks good. Appears bright and looks better than new. Finish Pro did an excellent job & provides excellent customer service. Job was completed to our satisfaction in a clean, timely and professional manner. I would highly recommend this company. Very professional, friendly, and knowledgeable staff. Very happy with their work. Finish Pro was great and the pro’s who did the refinishing went above and beyond to get a great result! I am very pleased with the results. The technician was great at prep and cleanup and the sink looks fantastic! Finish Pro was very cordial and pleasant to deal with. The workers started and completed the job in the timeframe comitted. As for follow up, they were very consistent. If for any reason I was not satisfied with the work, and I needed to have the complete job re-done, I know Finish Pro would do it without question. I would recommend Finish Pro. They did a great job! We want to thank you for the wonderful job done on our shower. It was two weeks ago, after another company had glazed it. The work was awful and your employees fixed it. Thank goodness they know their craft! They were punctual, polite, professional, and prepared. They worked very hard, and know what they are doing. Thanks so much for the timely and excellent job you and your installers did on refinishing our shower floor. The floor now looks brand spanking new! It was a very friendly and efficient visit by FINISH PRO and when the job was completed our home showed no sign of any activity other than our new shinny shower floor. I had been thinking about reglazing all of the tile surfaces in my nearly 100 year old Spanish home for years, but continued to try and “do it myself”, and with no success. Constantly peeling, cracking, etc., it was as if my bathroom could be used for a scene in the “Saw” movies. I did my research on the reglazing process, and had a handful of big local companies bid out the job. I ended up going with Finish Pro and honestly, I am thrilled to tell you what a fantastic experience and job I got out of it! They came in like a military mission, on time and as scheduled, taping everything off, prepping the kitchen sink and tile countertops and backsplash, and the nearly completely tiled bathroom and shower. Then the magic began, the crisp, fresh glossy white bathroom was out of a magazine, and adorned with new plumbing fixtures throughout, it was just spectacular! The kitchen turned out even better than that with a “Rocky Road” granite type multi-layer reglazing that looks like slab granite! Everyone who has seen it marvels at the fact it is actually the same old tile, with a beautiful suit of armour on top! Brett and his crew stopped at nothing to ensure everything was absolutely perfect, actually coming back for a full second day to re-shoot the kitchen countertop to get it even darker grey which he suggested and asked me if I wanted, and, added an extra layer of gloss to the bathroom to give it that extra shine! The one or two small little normal areas that needed touch-ups after they were done were more of a priority than even the job, and Finish Pro stopped at nothing to get anything that needed attention addressed afterwards. Not to sound corney, but the term “too good to be true” rings true here. 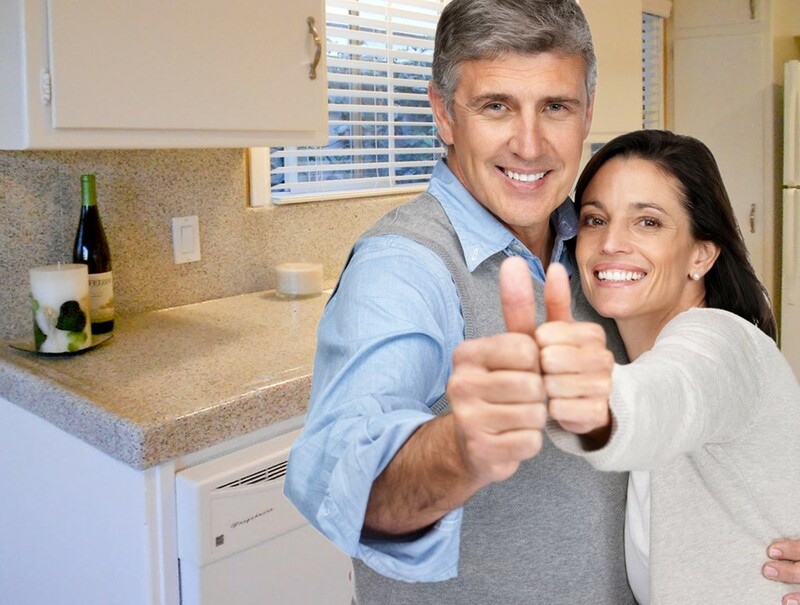 Finish Pro is a beyond professional and beyond skilled company, and I am happy to write this review, and avidly recommended them to anyone I come across looking to refresh their kitchen or bath for a fraction of the price of installing new tile or granite. Such a professional job on the refinishing of the shower enclosure. I couldn’t be more satisfied. I will recommend Finish Pro anytime. Thanks for a job well done. Finish Pro was quick to respond, price was among the lowest bid, and they did the job quickly and professionally. We would use them again and definitely would refer them to a friend or colleague. Finish Pro did a great job. Quality craftsmanship. It is like getting new bathtub. I am very happy with the results. Great overall experience, we had 2 shower units resprayed, 2 sinks done in granite-like paint, which all look amazing. The crew was very professional and courteous. We would highly recommend Brett and his crew to all who would like their kitchen or bath to look new and updated in just few hours, while not breaking the bank. Naturally, we had Brett also refinish grandma’s 2 bathrooms, which also turned out great. She asked to compliment Finish Pro on their high quality and professional service. Finish Pro were able to complete the work very quickly and they were very courteous. I would like to leave a review for the work done yesterday by Ricardo. Ricardo did a great job and we are very pleased with the result. Ricardo came early (we liked that), was very polite, worked without interruptions, made sure that nothing got dirty or damaged. Ricardo also offered to come back the next day for the finishing touch which would give a better result. He did come back the next day, nice and early, finished in about 30 minutes and gave us some tips on how to keep the bathtub and walls beautiful for a long time. Thank you Ricardo. Very professional . Excellent customer service. Finish Pro is responsive and professional. His team was friendly and helpful. The deal was perfect. I highly recommend Finish Pro. HIRE THESE PEOPLE! Finish Pro is a great company, providing great service. I had the surface refinished on a shower stall enclosure and a bathroom tub enclosure in a second bathroom, and they both look fantastic. Like new. The work was done quickly and economically, and both bathrooms were left completely clean afterward. They return calls promptly and arrive when they say they will. This is one of the most professional companies I’ve ever dealt with and I’ve dealt with many, having completely remodeled my condo. I can’t say enough good things about Finish Pro. I highly recommend them. They came in and completed the job in a very short time and left as if they had never been there. I hired Finish Pro to reglaze a couple bathtubs and evaluate the tile in a shower. I was completely satisfied not only with the quality of the work, but the level of professionalism and attention to detail they exhibited. This job was not necessarily an easy one, yet Finish Pro made sure it was done properly. In addition, the technician (Joe) that performed the work was very knowledgeable and willing to answer any and all questions I had for him. Finish Pro followed up with me at the end of the project and ensured I was completely satisfied with every aspect of my experience. I was blown away by Finish Pro’s customer service! Be sure to check out our Promotions and Specials page for current online offers. Finish Pro is a well established reglazing refinisher for surfaces such as Bathtubs, Shower enclosures, Sinks and Counter Tops. 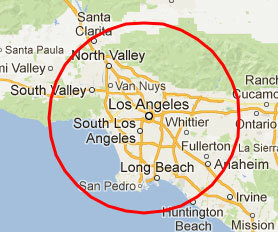 We have over 25 years experience of providing these services in Los Angeles County and Southern California. We are a licensed contractor (Verify us with California Contractors State License Board). We practice professional excellence in our services with top notch employees that get the job done right the first time. Finish Pro does a thorough background check and drug test on all of its employees. Finish Pro is a licensed (#959890) and bonded California contractor. Click here to verify our status with the State of California. We provide bathtub, shower, sink and counter top refinishing throughout Los Angeles County. © Copyright 2008-2019 Finish Pro Bathtub Refinishing. All Rights Reserved.